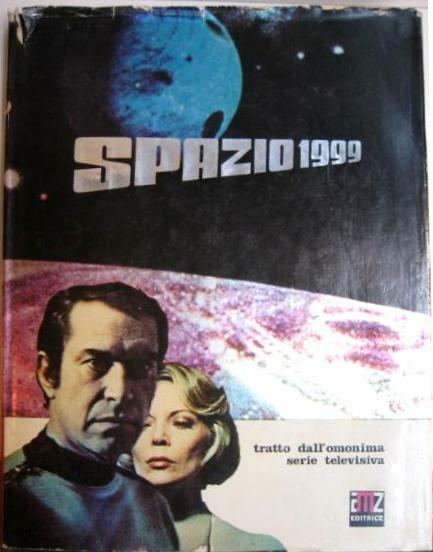 The Italian hardcover books, titled Spazio 1999, are novelisations adapted by Gianni Padoan from original scripts. 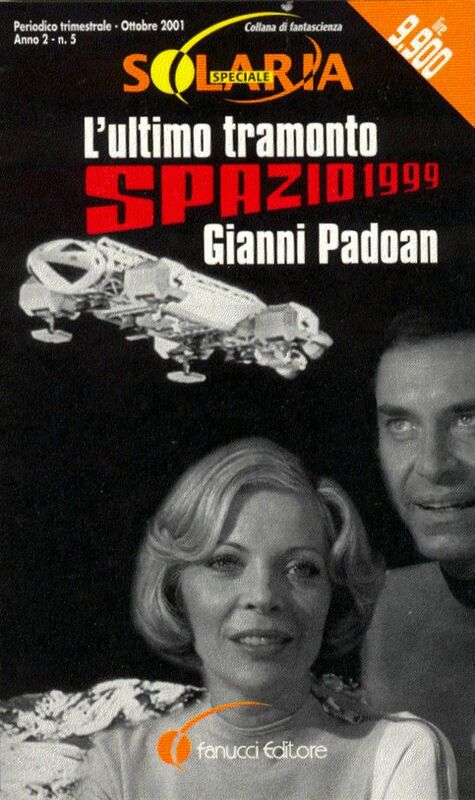 Padoan (born 1927, died 1995) was a prolific author of children's books, and also wrote for television and radio. Each book features (usually) two episodes, all heavily illustrated with photos. (Volume 1 featured just Breakaway and a science fact article, volume 2 featured 3 episodes). 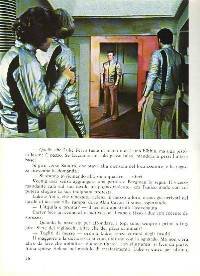 Volumes 0 and 4 were translated into German and published in new editions by Koralle in 1977/ 1978. 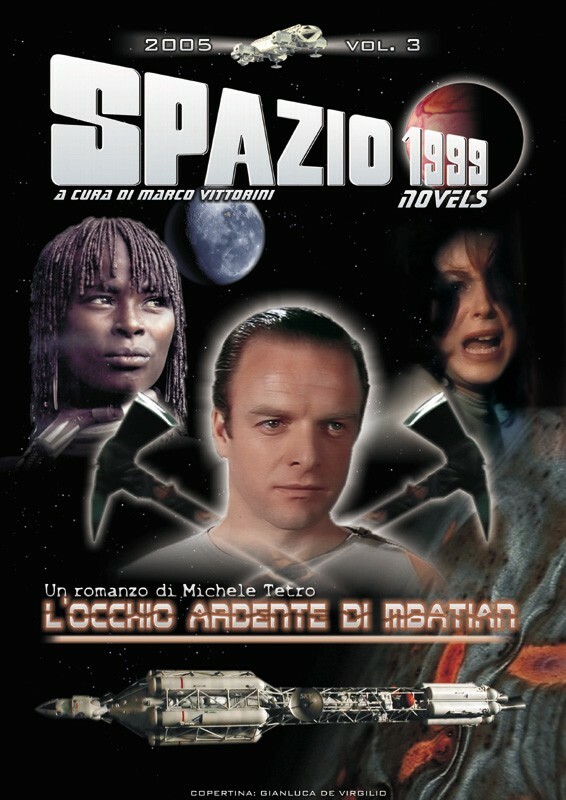 The books were reprinted in Portugal, titled Espaco: 1999. 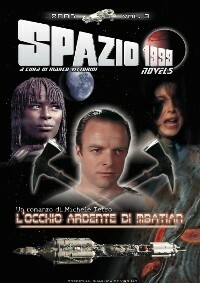 In 1999 two books were reprinted by Fanucci in Italy (see below). 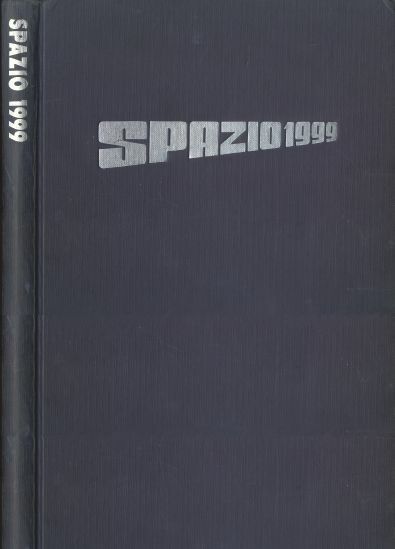 The original volume, just titled "Spazio 1999", was published in 1975 and contained three stories and a scientific appendix. 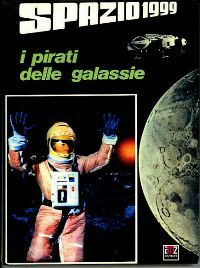 There were few copies (the show had been seen in the cinema, but was not on Italian television until 1976). Most editions have a plain blue cover, but there is at least one example with a dust jacket. In September 1975, four more titles were published, numbered 1 to 4, adapting 2 episodes each. These were reprinted in November. Both these editions have stars on the spine; later reprints have plain colours. 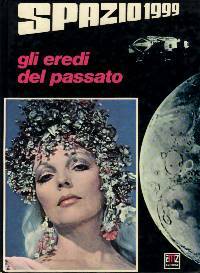 By October 1976, with the series on Italian television, the stories from the original volume were reprinted in two books. As Breakaway is the first episode, that became book 0. 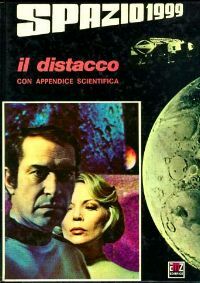 The other two episodes from the original volume became book 5. 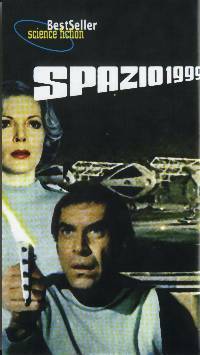 Other volumes continued until 1978, when all 24 episodes had been adapted in 12 books. 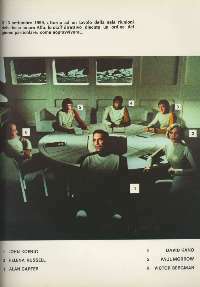 In 1979, four Year 2 editions were published. The initial book was 188 pages; the other first series books were 160 pages long, and the second series books 144 pages. The initial pages of each book included photos of the regulars and a full cast list. Each story lasted 63 pages and each book was illustrated with over a hundred large colour photos (the first series books had poorer quality photos, sometimes quite fuzzy). The final pages featured shots from other titles in the series. 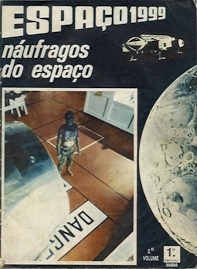 The covers of the first series featured an episode shot, usually a head and shoulders portrait of a character, bordered to the right with an Eagle over a hemisphere of Moon. 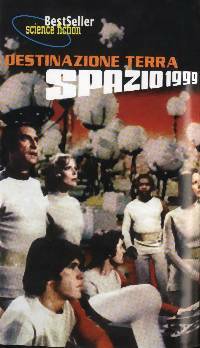 The second series cover features episode photo with various Eagles below and left. 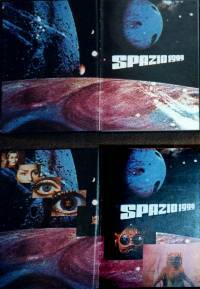 The back cover lists all titles over the black sun (prima serie) or the photo of the red moon from the Year 1 series credits (seconda serie). Below: Original first volume from 1975, later split into volumes 0 and 5. Most editions are a plain hardcover binding (left, thanks to Angelo). However, Gordon Moriguchi has one edition with a dust jacket (right). Fanucci reprinted stories from the AMZ books in 1999, in a new paperback format. 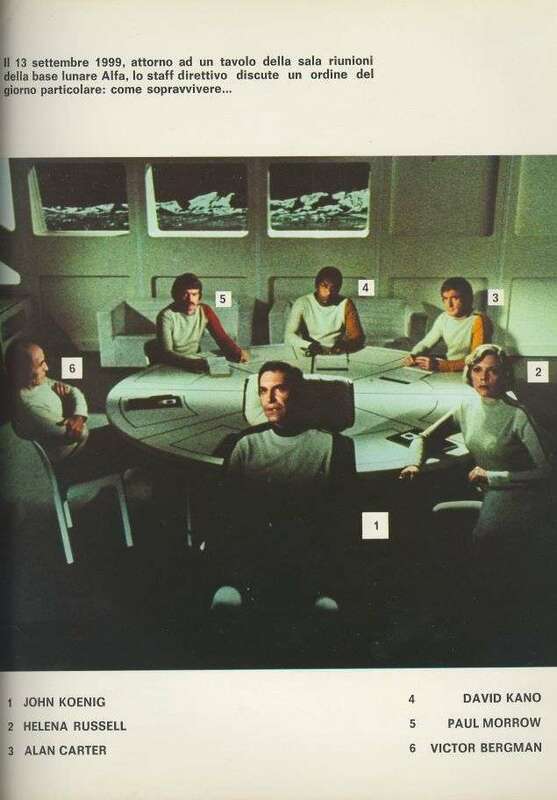 The episodes were in production order and included an appendix listing all episodes from both series, a brief description, and credits for each episode. Each book was L14,000 and 288 pages with a 32 page glossy colour section. 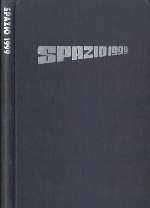 Like the original AMZ volumes, the 50 photos used were somewhat fuzzy. The covers were plain silver with a vertical logo. A glossy page inside the covers (page 4) featured a pictorial cover (illustrated here). 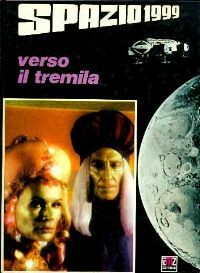 In October 2001, Fanucci reprinted more stories in a book for their Solaria series, sold on newstands rather than bookshops. 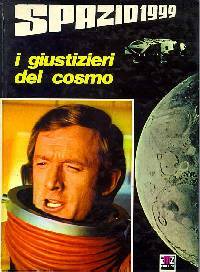 Published by Edizioni del Nano-Cosmic Group, Modena 2005, pp. 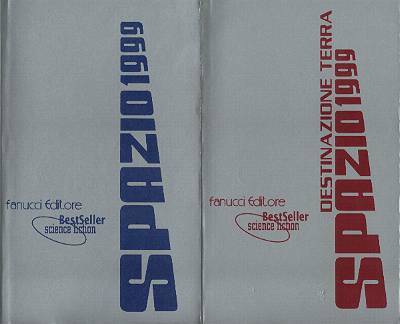 236, graphic and design by Marco Vittorini, cover by Gianluca De Virgilio, technical plans by Roberto Baldassari. 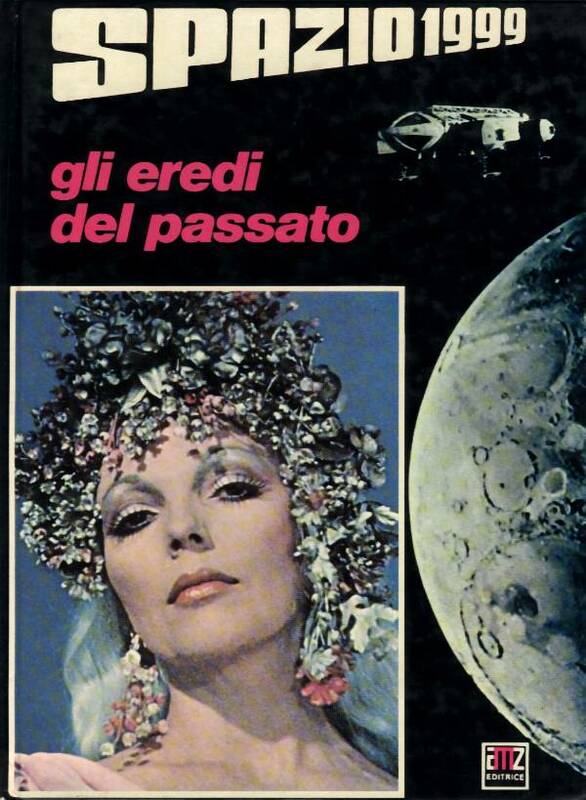 It has a preface by Gianni Garko (who played Cellini in the episode). Copyright Martin Willey. Thanks to Angelo Finamore, Gordon Moriguchi, Michele Tetro, Patrick Zimmerman.